Is jump rope a healthy exercise? I know boxers do a lot of it... and they tend to have GREAT bodies. I want to look like that haha... at least when it comes to being LEAN! Help me out guys! I respect the attempt at humor! I have wondered this, as well. Thanks for asking it! Derrick - jump rope is playful and fun. It is the sister to hop scotch. The cousin of dodgeball. Of course jump rope is paleo because play is paleo. Would you double dutch with me sometime? Only if it is high in saturated fat. C'mon, really? Are cars paleo? Computers? Not everything we do can be classified as paleo. We just have to use our best judgement. Sorry if this comes across as snarky. I've had a crappy week and my internal filter isn't working. Seriously? If you want a "Paleo" exercise break into a zoo and provoke a tiger. You'll run like Grok did! While I doubt that cavemen actually "jumped rope", I have no doubt that they would have jumped a lot. I can't see anything that would make jumping rope non-paleo. The latest in paleo podcast guy--and others, I'm sure--talks about paleo being more a list of things NOT to do because we know cavemen didn't do it (e.g. don't eat refined sugars, cavemen wouldn't have had access) than it is a list of prescribed behaviors. There were too many "cavemen" in too many parts of the world, living too diverse lifestyles to possibly know what they all did. As long as it is not well-known (or, well-assumed, anyway) that cavemen didn't do something, I consider it paleo. Punch/kick heavy bag for 3 minutes, jump rope 1 minute, rest 1 minute, repeat 5 times. Awesome workout. Add 1 minute of pushups for an even better workout. Jump rope is great exercise. Try 40 secs bursts. 6-8 of them with a two minute rest in between... Very intense. Have you ever seen any traditional African dances? 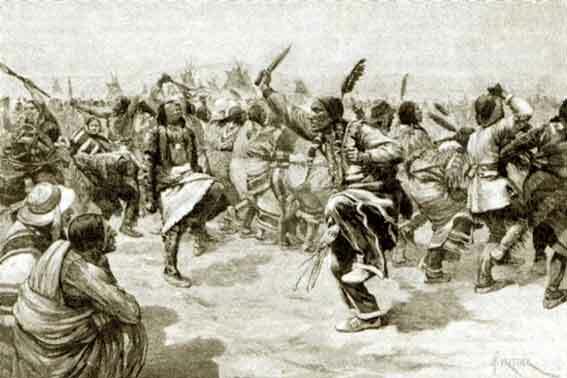 The dancing of the Native American tribes? If you do it as high-intensity interval training, maybe. Me and my bum knee would definitely avoid it in favor of the elliptical.